A daylighted basement space was transformed into a handsome sports bar with billiards table and adjacent home gym. 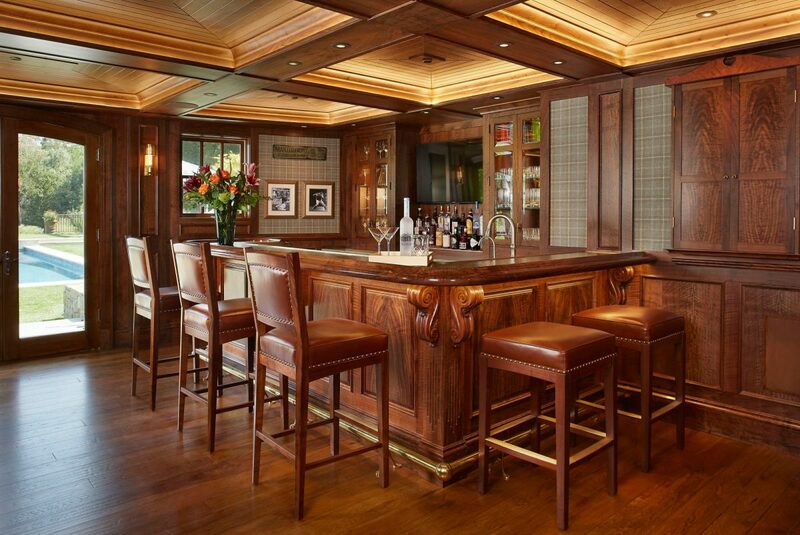 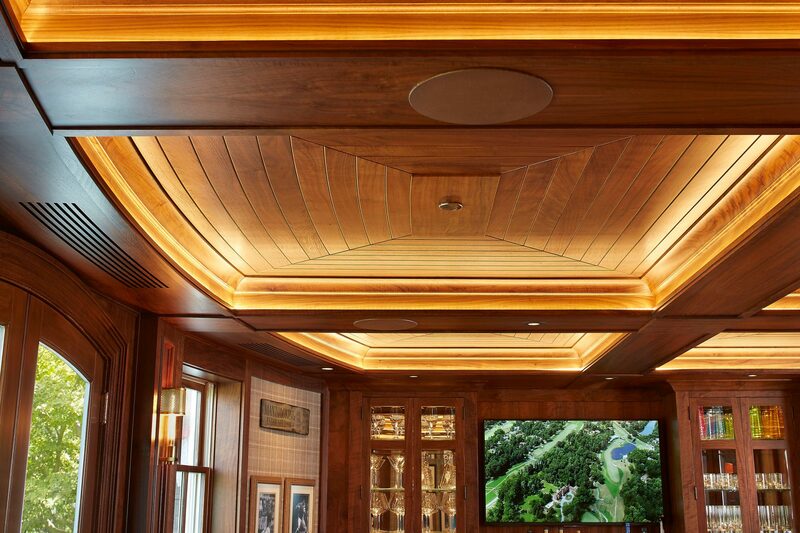 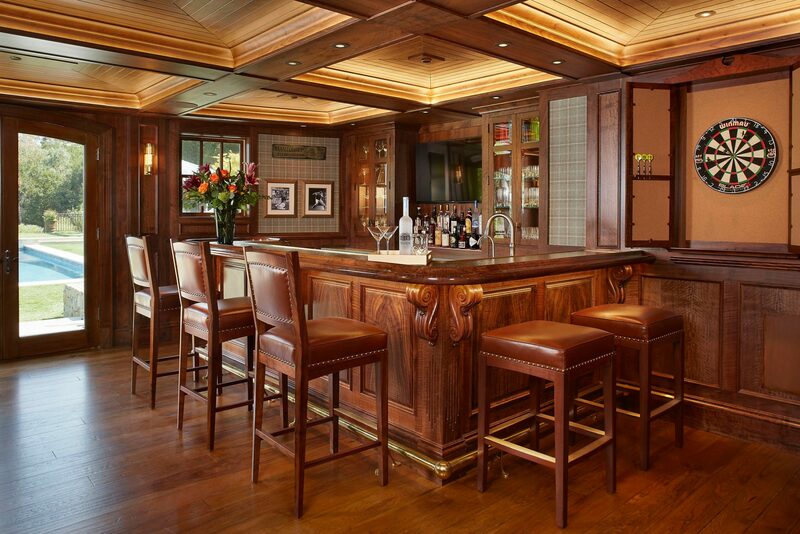 The custom paneled walls and coved ceiling feature hand selected solid walnut. 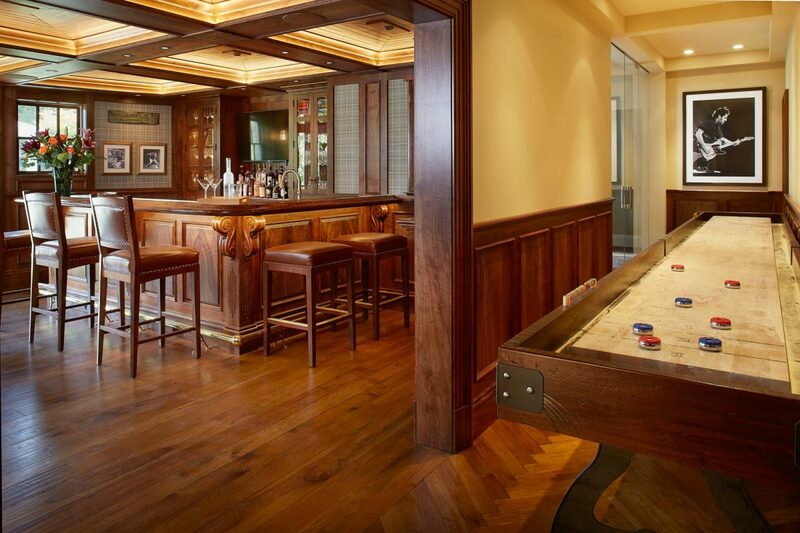 And space showcases the owner’s collection of sports memorabilia.